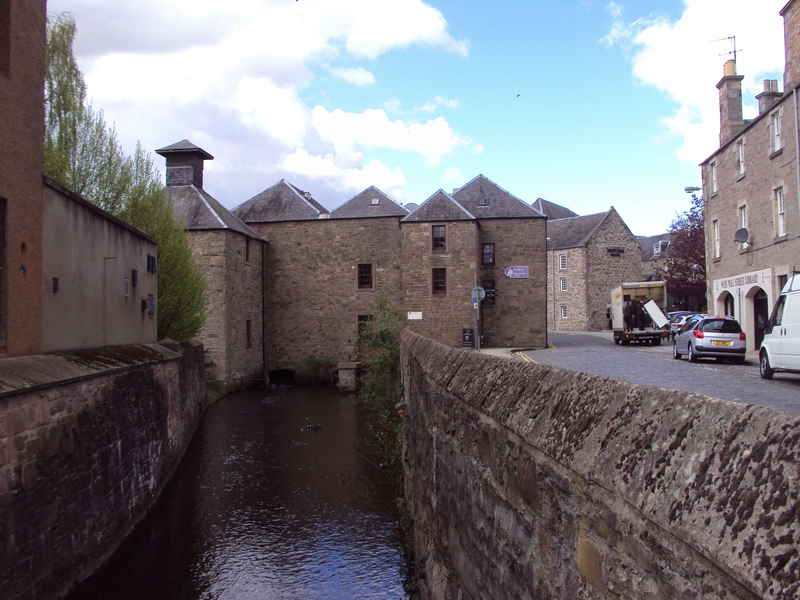 Most of Scotland’s towns and cities grew up during, if not before, the Industrial Revolution, but today most betray many signs of more modern thinking about planning and architecture. An exception is Perth. 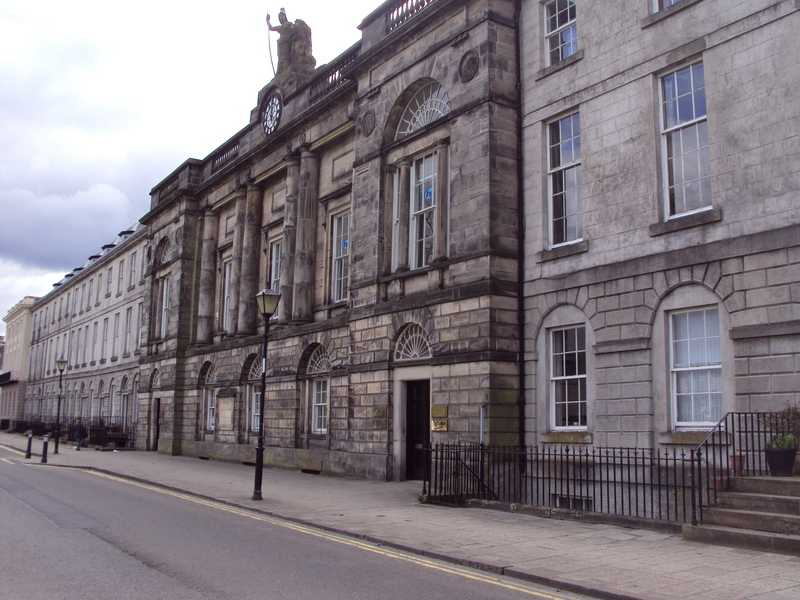 Unlike most places of equivalent size in Scotland, much of Perth’s town centre looks as it would have done 50 or 60 years ago, and to its advantage. Although its shops often serve different purposes than they would have done previously, its buildings and streets retain an attractively personal shape and scale. 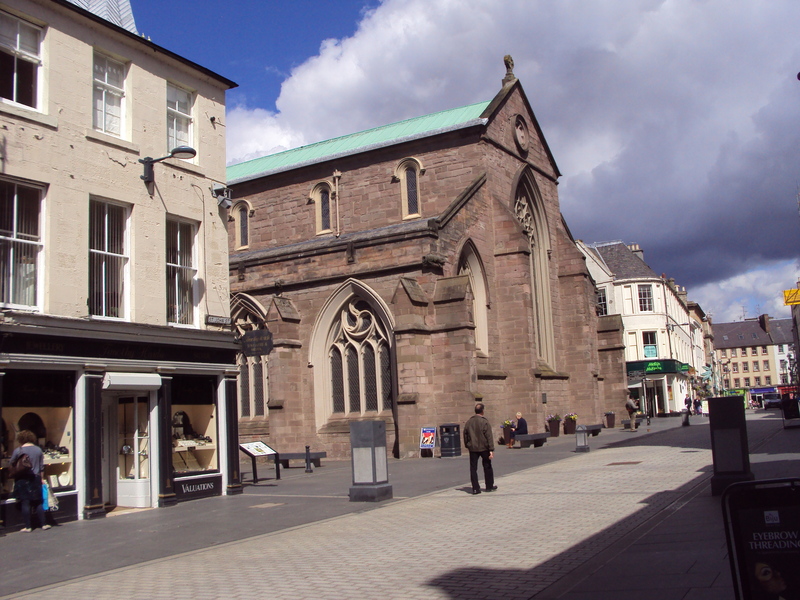 In the centre of this street is the pre-Reformation Church of St John the Baptist, after which Perth had its earlier name of St John’s Toun. 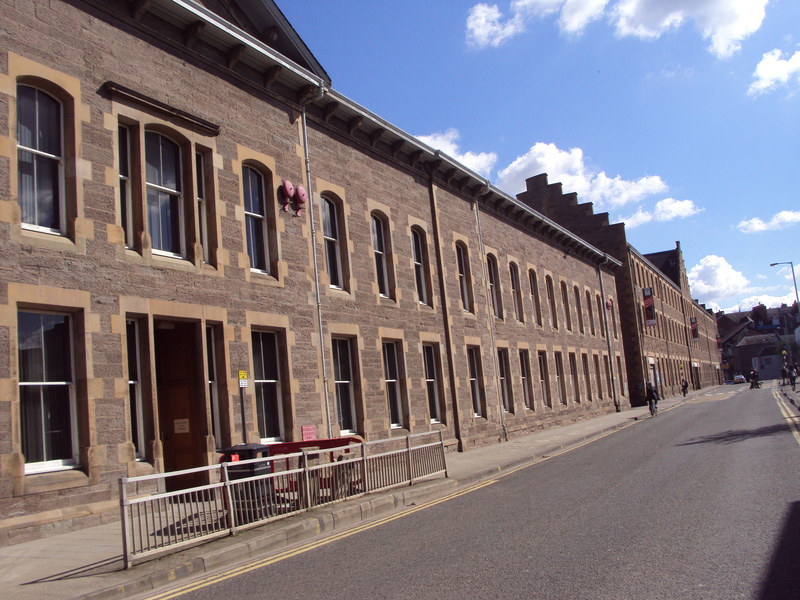 Former corn mills in the centre of Perth. Former industrial warehouses, now used by the local council. 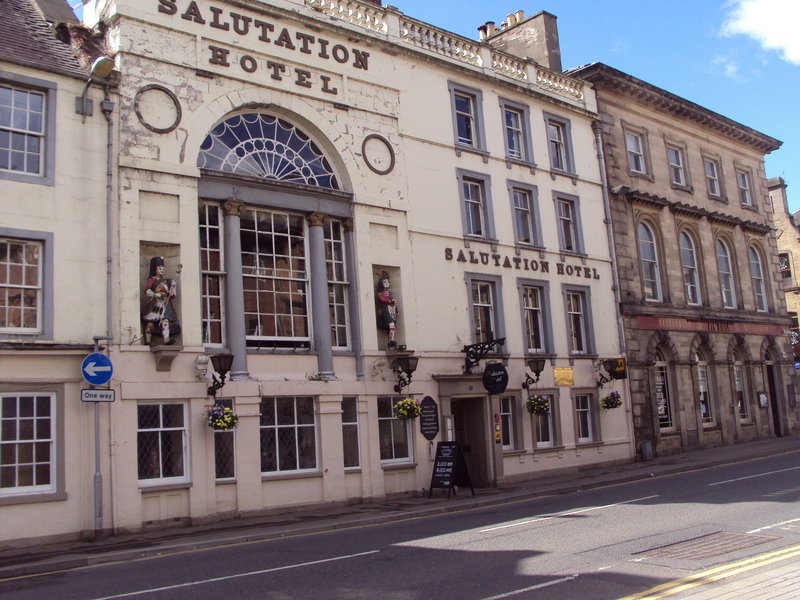 The Salutation Hotel claims to be the oldest still operating in Scotland, having started life as a coaching inn in 1699, although this facade is apparently more 19th century. 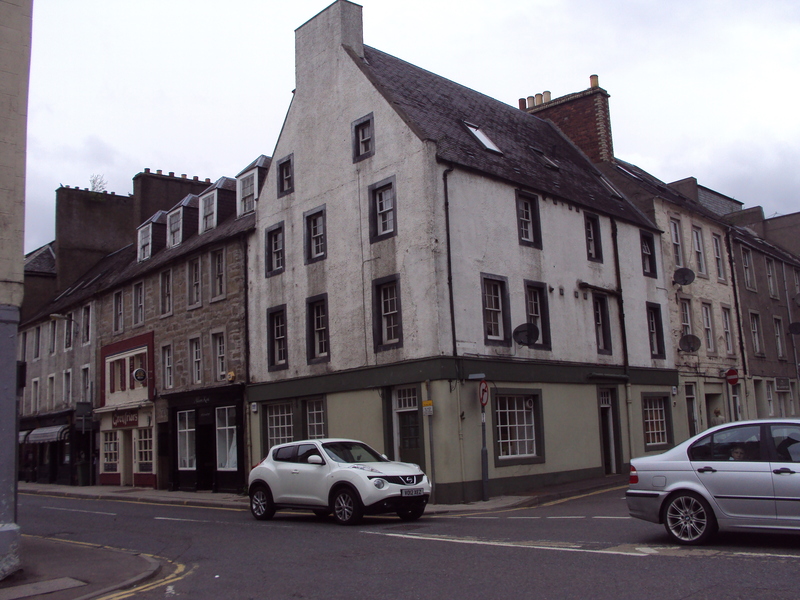 The Watergate (on right) is one of the oldest streets in Perth. 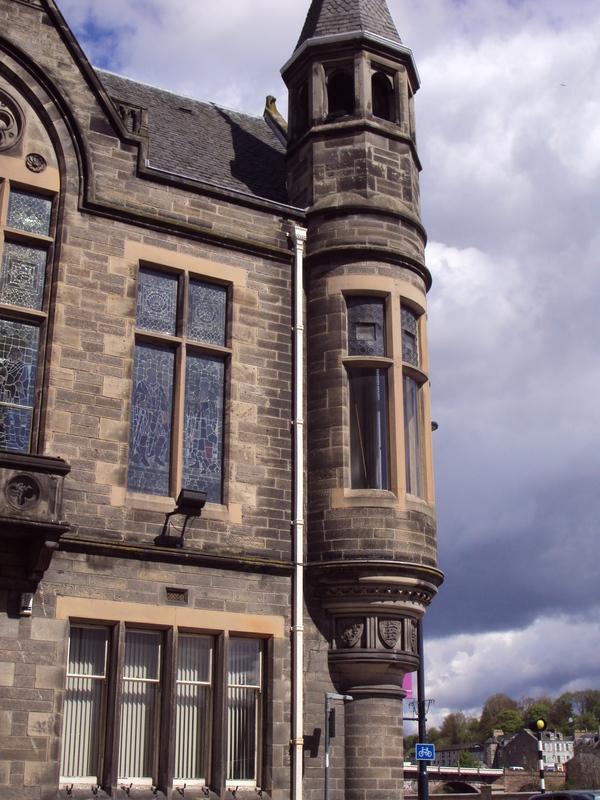 Reminiscent of Edinburgh, the central property of this terrace is the former Perth Academy. 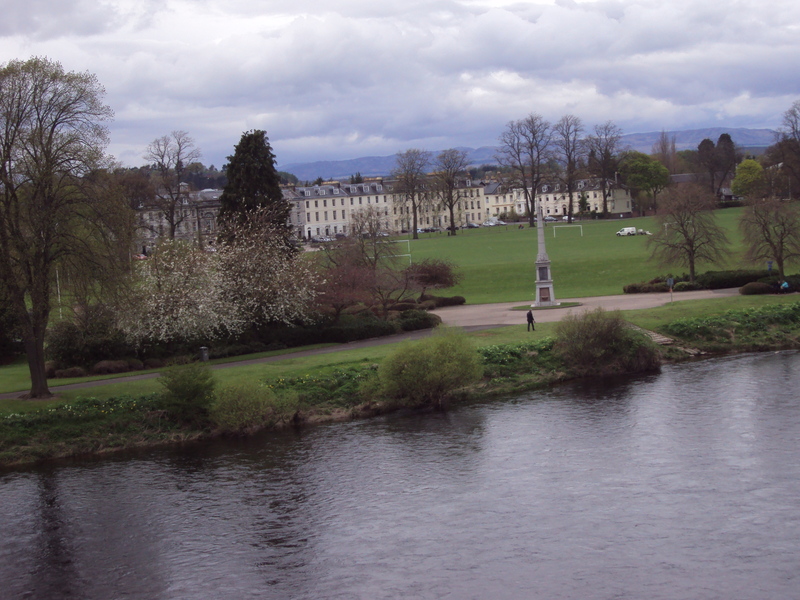 The long-established park of North Inch as viewed from the 18th century road bridge. 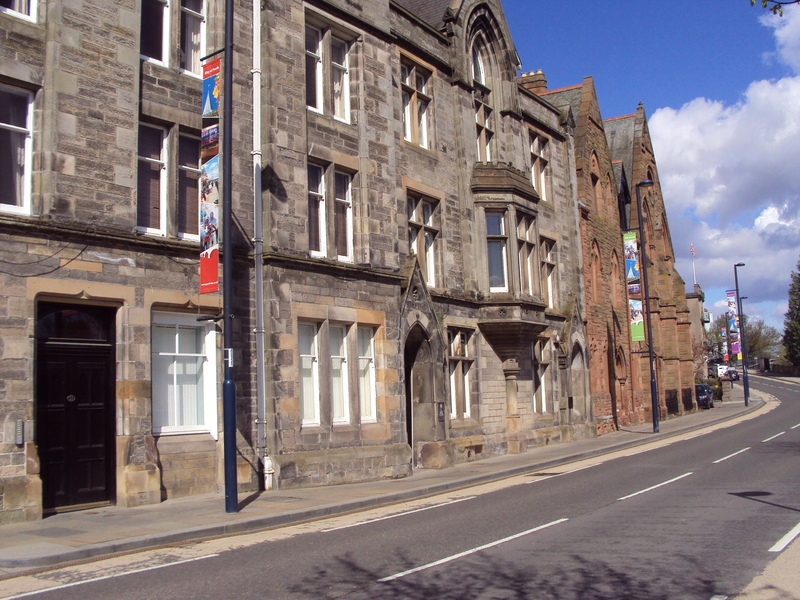 Tay Street, facing the river, retains most of its attractive Victorian buildings. 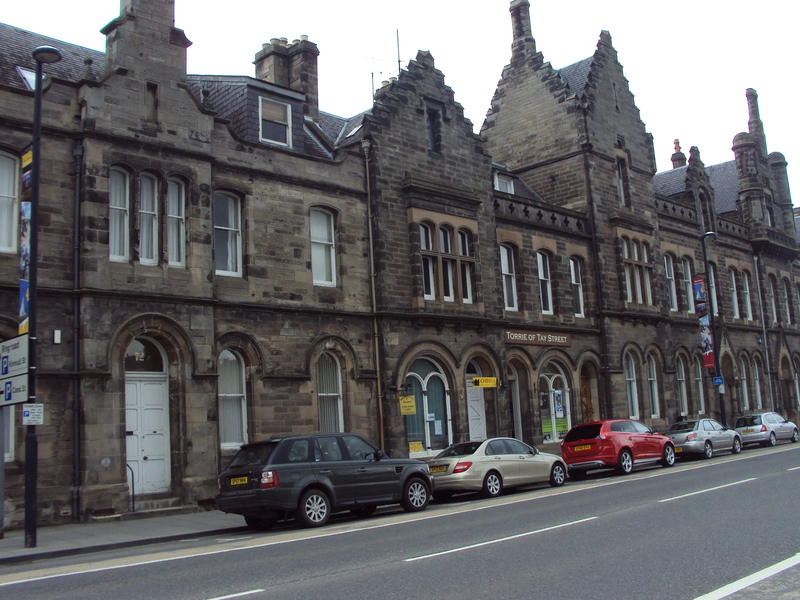 This stretch of Tay Street features several baronial touches. A strongly baronial street corner. 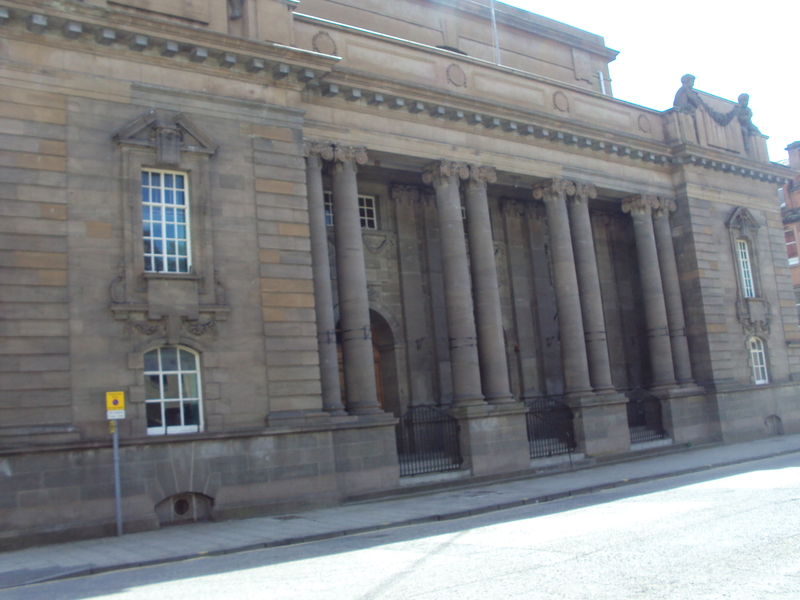 Perth City Hall, built in 1911, is a victim of the success of the town’s new Concert Hall – its future use is still the subject of local argument. 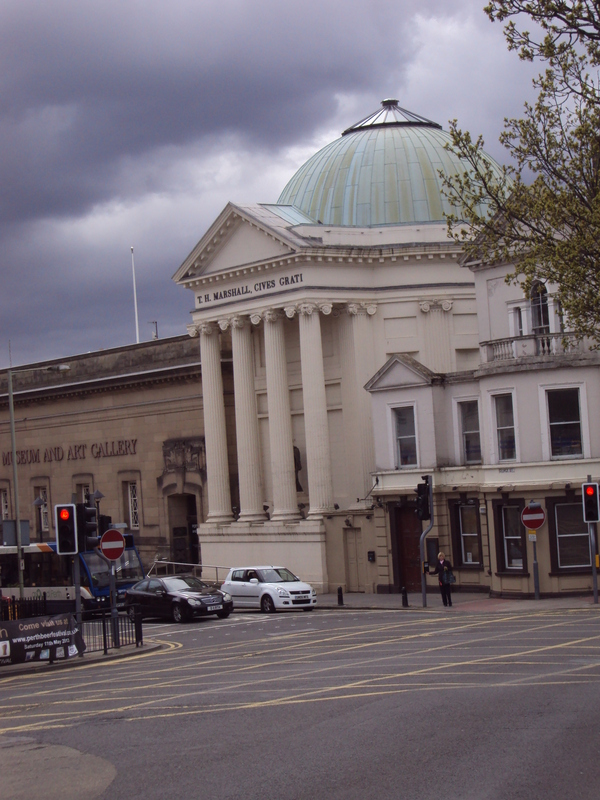 A familiarly classical appearance for a palace of culture : Perth Museum and Art Gallery, first built in the 19th century, extended in the 1930s. The Royal Shakespeare Company’s production of The Life and Adventures of Nicholas Nickleby, Dickens’ novel turned into two four-hour plays using a huge ensemble cast, was one of the most successful theatre shows of its era. First performed in 1980, it transferred to the West End and to Broadway, and was turned into a TV production in the early days of the then culturally adventurous Channel 4, its celebrity belying its origins (so the story goes) as a cash-restricted way to employ the RSC’s acting staff as cheaply as possible in a single production. The power of the production came from its combination of a straightforward rags-to-riches story with a familiar Dickensian cast of villains, friends and eccentrics told with pace and energy, with a Brechtian staging which regularly moved actors backwards and forwards from involved characters to impartial narrators, and kept them onstage when they weren’t occupied as either. The music of the late Stephen Oliver added greatly to the show’s impact, especially the piece which closed the first play: a patriotic song for the Vincent Crummles theatre company to sing at the conclusion of their energetic (if not entirely Shakespearean) performance of Romeo and Juliet. A clip is on You Tube. What I have always found especially moving and powerful is the moment half way through the song when the characters of the theatre company are joined onstage by the other members of the cast. Everyone is still in character, but the auditorium lights seem to come on and the song changes from one sung by a mid-19th century theatrical troupe to their audience in Portsmouth to one by the Royal Shakespeare Company in the present day to their audience in that London theatre and beyond. Its pastiche elements fade into the background as, buoyed up by the cast’s swooping, full-throated delivery, the lyrical message of national solidarity as the means towards national strength and prosperity gains an exciting contemporary resonance. “And victorious in war shall be made glorious in peace”. In that mid-1980s period of industry closures, unemployment and social and political tension, it seemed, in its own way, as forceful a piece of political protest as anything by Billy Bragg or Ben Elton. Unfortunately, its message seems just as urgent today. Although I didn’t read Larkin in school, my first acquaintance of him was in an anthology which was designed as a school text book, Poetry 1900 to 1965, edited by George MacBeth ( London : Longman/Faber 1967). MacBeth described “The Whitsun Weddings” as “one of the major poems written since 1945” and he convinced me. Its tight structure is similar to many other of Larkin’s most famous poems like “Church Going” or “Reasons for Attendance” or “Aubade”, but it also has a great narrative with a pulsing energy, resonant of the train movement it describes. I still love how Larkin combines the story of the wedding parties with the detailed description of the changing landscape and his personal reflection, in language which is both formal and carefully controlled but still feels idiomatic and conversational. I first read it before my first rail journeys south from Scotland towards and into London, and at least part of those experiences were shaped by “The Whitsun Weddings”. Of course it is a pre-1978 poem. That was when the current May public holidays, on the first Monday and last Monday of the month, came into force, replacing the Whitsun bank holiday. Whitsun was a term more commonly used in England for the Christian festival which I knew as Pentecost. So the poignancy of the poem’s title for me derives, in addition to its alliteration, from this expression of both a specific English landscape and a now distant past. “The Whitsun Weddings” makes an interesting diptych with this other famous poem. While Larkin’s train journeys from north to south during the day and during a holiday, Auden’s train travels from south to north, overnight, doing its job.